When it comes to home safety, windows provide a crucial escape and rescue route ("egress") in the case of a fire or an emergency. Because egress windows require a relatively large opening, homeowners must take measures to prevent accidental window falls. 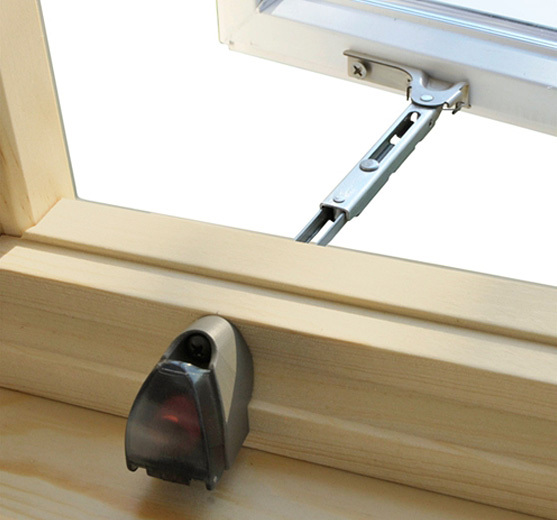 With our Window Opening Control Devices (WOCD), homeowners now have more ways to improve the prevention of window falls. Close and lock your windows when children are around. Never depend on insect screens to prevent falls. Insect screens are designed to provide ventilation while keeping insects out. They will not hold a child's weight against them. Be sure to keep furniture – or anything children can climb – away from windows. If you need ventilation, open only windows children cannot reach. Teach children not to play near windows. Unattended children run the greatest risk of falls and injuries. Nothing can substitute for responsible adult supervision. 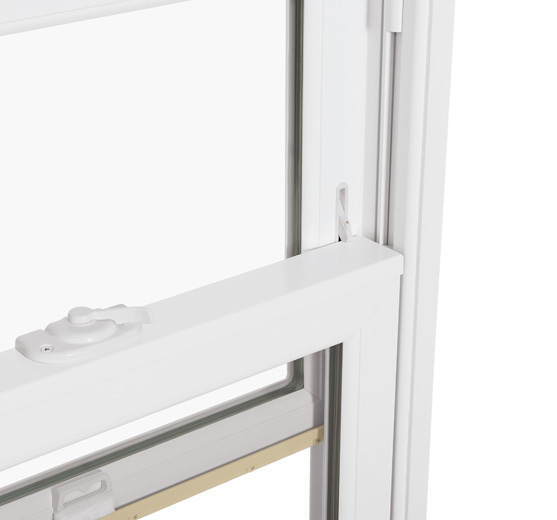 The WOCD gives homeowners the ability to control, or limit, the window opening. This has a twofold benefit: 1) It helps prevent accidental falls and 2) It meets egress codes by providing emergency exits in certain rooms, such as bedrooms. 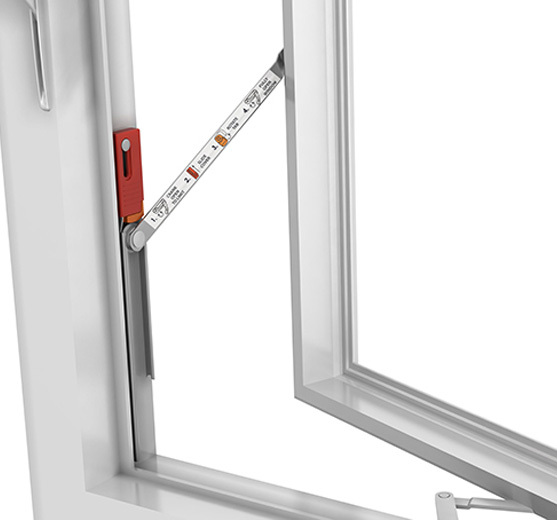 The WOCD automatically limits the window sash to less than 4-inches, and features a manual override mechanism for emergency escape and rescue. The device automatically resets after the sash has been fully closed. Windows add so much to our daily lives - daylight, ventilation and views. Certain windows are also expected to accommodate emergency escape and provide a means of rescue. Because operable windows are desired and sometimes required in certain areas of homes and buildings, conditions exist for accidental falls -- especially for young children whose curiosity exceeds their knowledge of cause-and-effect. After reviewing hospitals' emergency room data on child injury cases associated with nearly 100,000 window falls between 1990 and 2008, The Journal of the American Academy of Pediatrics recommended several architectural design measures for reducing injuries and death related to accidental window falls. They included: employing the use of devices to secure or restrict windows' openings; decreasing access to windows by young children; and addressing landing surfaces below windows. In an effort to address window falls, the International Residential Code adopted a minimum sill height of 24 inches in 2006 for openings that are more than 72 inches above outside grade. There were revisions to the code in 2009 and 2012. Today the code outlines an alternative to the minimum sill height requirement: using a window opening control device (WOCD) that meets the ASTM F2090 standard entitled Standard Specification for Window Fall Prevention Devices with Emergency Escape (Egress) Release Mechanisms. Even before the establishment of minimum sill height and standards surrounding WOCDs, homeowners, landlords, and renters have had a variety of after-market window fall prevention products to choose from including guards, nets, and limiters. Some of these options meet the ASTM F2090 standard today, and some do not. After the standard was released in 2008, window manufacturers began coming to market with factory-installed, integrated WOCDs that meet the standard, while also preserving the daylighting capability and beauty of the window. Minimum sill heights, however, do not overcome situational risks such as the occupants' placement of furniture or other climbable objects in rooms with operable windows. Window fall data show that beds, chairs and bookshelves have served as ladders for curious, active children. Movable objects take only seconds to push across a room toward an open window.